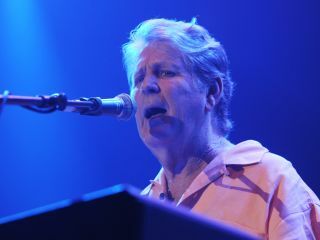 Brian Wilson is not reuniting with his Beach Boys bandmates, as was erroneously reported by some press outlets last month. But the genius behind Pet Sounds has announced his latest project: Brian Wilson Reimagines Gershwin. Make no mistake, however - it's no ordinary covers album. What will undoubtedly make this record a must-have for music lovers of all stripes is that the estate of George Gershwin enlisted Wilson to complete unfinished music that the late composer had left behind when he died in 1937. In a statement, Wilson said, "Along with Irving Berlin, Gershwin basically invented the popular song, but he did something more. He had a gift for melody that nobody has ever equaled, yet his music is timeless and always accessible. This is the most spiritual project I've ever worked on."